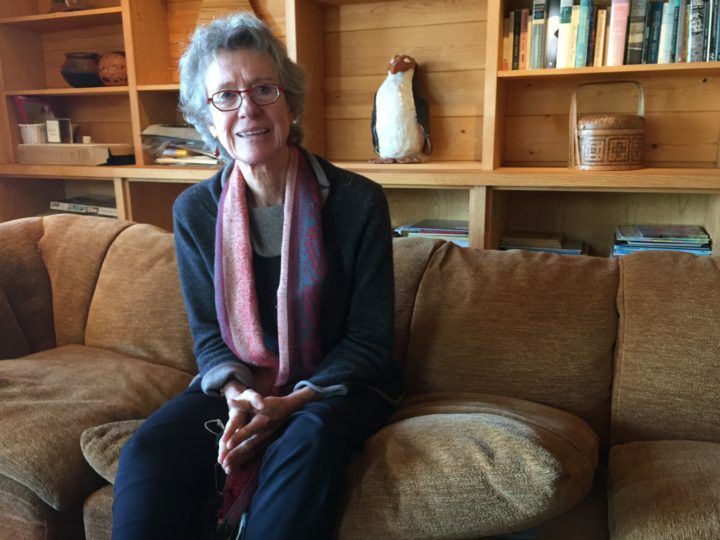 Berkeley sociologist Arlie Hochschild — author of the best-selling book Strangers in their Own Land: Anger and Mourning on the American Right — wrote her first book when she was nine years old. You could think of Colleen the Question Girl as a prequel to Strangers in their Own Land, which tries to make sense of why Trump supporters in Louisiana’s ‘cancer alley’ feel loyal to the oil companies who pollute their air and water, while despising the Environmental Protection Agency. As it turns out, Colleen — first published in 1974 by the Feminist Press and now reprinted and available on Amazon — was prescient. Hochschild started teaching at the sociology department at UC Berkeley in the 1970s, at a time when there were precious few female sociologists. From the get-go, she started asking the kinds of questions that were not on her male colleague’s radar screen. Why is “women’s work” less valued than men’s work? What happens when traditional “women’s work” (such as childcare and elder care) is outsourced to strangers? And, more recently, how can blue-collar workers be so blind about billionaires? Hochschild revels in these seemingly intractable questions. In between Colleen and Strangers in their Own Land, Hochschild wrote several other groundbreaking books, including The Second Shift, The Outsourced Self, The Managed Heart and The Commercialization of Intimate Life: Notes from Home and Work. But her latest book has been her most successful yet: it has spent time on the New York Times bestseller list, and was a finalist for the National Book Award. It has been so popular that it was unavailable for three weeks before Christmas because Amazon could not keep it in stock. (Hochschild is still irritated about that.) “I have written 10 articles since the book came out: I never imagined I’d be doing all this,” she said. But how can a billionaire from Queens understand the situation of blue-collar workers in Louisiana? “He’s been watching it out of the corner of his eye for 25 years,” Hochschild said. “He watched [George W.] Bush put on a cowboy hat and pretend to be a cowboy,” and he attempted a similar feat. 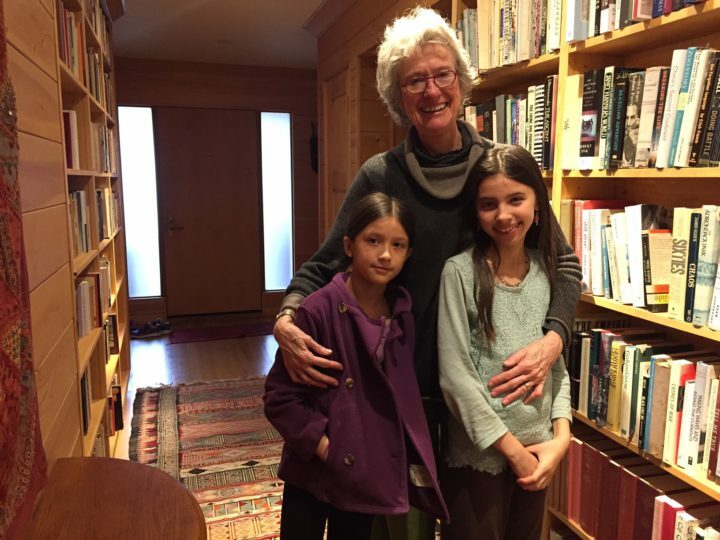 And, though many Berkeleyans feared that five years of repeat visits to Louisiana would cause Hochschild to go native, exactly the opposite has happened: Hochschild moves right into Berkeley mode when she returns from her field work. “Berkeley is my home,” she says. “It has allowed me to exhale, to take more chances, be more creative.” And so, Hochschild now tells anyone who will listen that Berkeley needs to go back to its activist heyday to respond to the Trump phenomenon. “We need to move on from despair and recover in the spirit of the ’60s,” she said at the Hillside Club. Hochschild, in fact, is still in conversation with her ‘friends’ in Louisiana. In fact, she is about to embark on another trip to the Bayou, this time with her son David Hochschild, one of five members of the California Energy Commission. David has a background in solar energy and works to promote renewable energy for the state of California. Hochschild’s radical plan is to put David together with Mike Schaff, an ardent Tea Party member and Trump supporter, who is also a major character in Strangers. “I thought it would be good to get Mike together with my son,” Hochschild says. “You couldn’t find two more different people. But my idea is to get them in Mike’s boat and see whether people with such different political philosophies can find common ground on the environment.” Hochschild plans to be a silent witness in that boat, recording the conversation. Hochschild refers those who are interested in embarking on a Left-Right dialogue of their own to a new website called LivingRoomConversations.org. This site was founded by Joan Blades, a co-founder of MoveOn.org, who also appeared with Hochschild at the Hillside Club. Living Room Conversations provides a format for people from opposite sides of a variety of issues to seek common ground. The group will be launching another site called MisMatch.org in the near future, so people with different views from different geographic areas can begin online conversations, also to seek common ground. “I think we will be bigger and better” for having these conversations, Hochschild said. To see Hochschild’s future speaking events, click here.